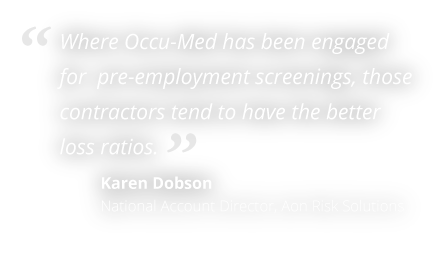 Occu-Med’s proprietary, applicant-job compatibility assessment considers medical, legal and job-demand aspects, assuring that candidates are authentically ready for placement or deployment. 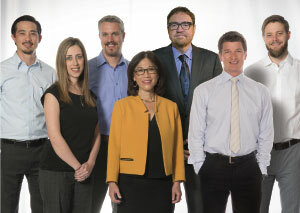 We also facilitate return-to-work evaluations, periodic medical evaluations and surveillance and immunizations. 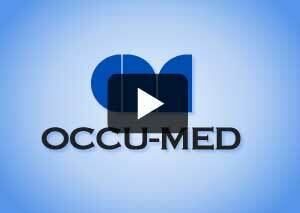 Watch this video to see how Occu-Med’s three-facet evaluation system works to assist employers and employees. With Occu-Med’s deployment medical readiness services, clients are assured that candidates hired to work overseas for the Department of Defense or Department of State meet all requirements and are properly immunized. Current employees also sometimes require occupational evaluations to determine if they are fit for duty or ready to return to work. 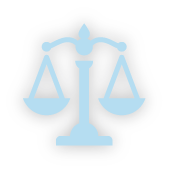 Occu-Med uses its three-dimensional evaluation structure to determine if and when an employee is able to return to work, with or without reasonable accommodation. Employers are often asked to meet compliance requirements with regard to exposures that might impact an employee’s ability to continue to work. 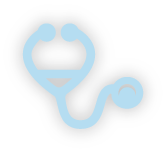 Occu-Med steps in to provide these periodic evaluations. Occu-Med’s expansive medical and dental provider network means we can perform employment evaluations wherever, and whenever, clients have opportunities.